ISIS’ desperation is showing. Now they are going after Barron Trump and they are calling for him to be murdered. Pro-ISIS Internet channels are putting out chatter over this. They have also posted personal details of the child’s life on their social media networks, including the address of his school, according to a media monitoring organization. Given that threat, I would really up the child’s security and seriously consider private tutoring at the White House. ISIS would love a trophy kill like Barron Trump. They are murderous heathens and children are a favorite target of theirs. ISIS hates President Trump with a white hot hatred of a thousand suns because he has actually gone after them with our military and he’s destroyed their burgeoning Caliphate. ISIS supporters, on a well-known Telegram channel, not only shared the name and address of Barron Trump’s school. they called for backers of the terrorist organization to assassinate him, according to the Middle East Media Research Institute, or MEMRI – that means they could deploy Jihadists to carry this out. That is a major escalation in this fight and it is VERY personal to the First Family. Knowing Trump, he’ll double down on killing these barbarians and I’m all for that. The first message was sent today on Nov. 21st by an ISIS supporter on Telegram. 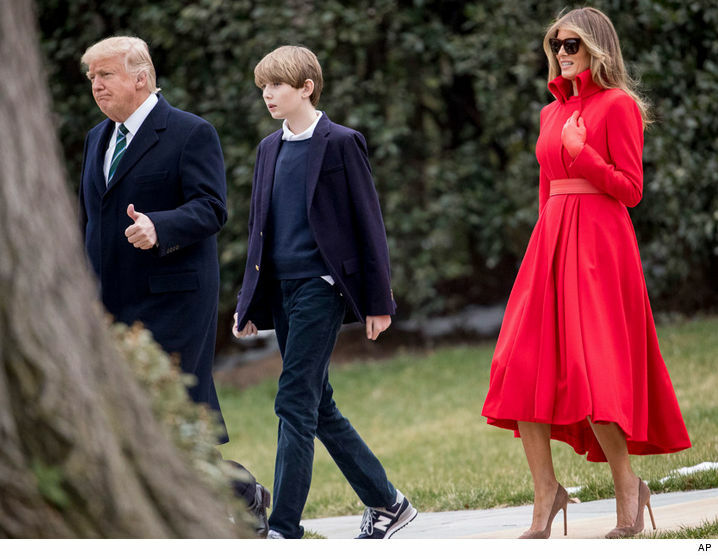 He “called for the assassination of Barron Trump, and shared the name of the school that Barron attends along with a Google map pinpointing its location,” according to MEMRI. MEMRI also shared images of the messages with reporters so everyone could be warned about this new threat. He’s just a boy for Pete’s sake! The only reason they would go after Barron is to hurt President Trump. “Using the hashtag ‘handle the son of the mule of America,’ the supporter, who uses the name “Dak Al-Munafiqeen,’ Arabic for ‘striking the hypocrites,’ wrote: ‘Barron Trump goes to this school in Washington,'” according to MEMRI. “The post was followed by a photo of Barron Trump,” according to MEMRI’s research. “To widely disseminate the call for assassination, several pro-ISIS Telegram channels have shared and forwarded the post.” I am sure Trump will, but I would take this very seriously. It actually goes beyond worrisome on this particular threat. This one scares me because I know how much ISIS would love to pull it off. Similar threats have been made against the Royal Family in Britain, but they were against the princes who are grown. 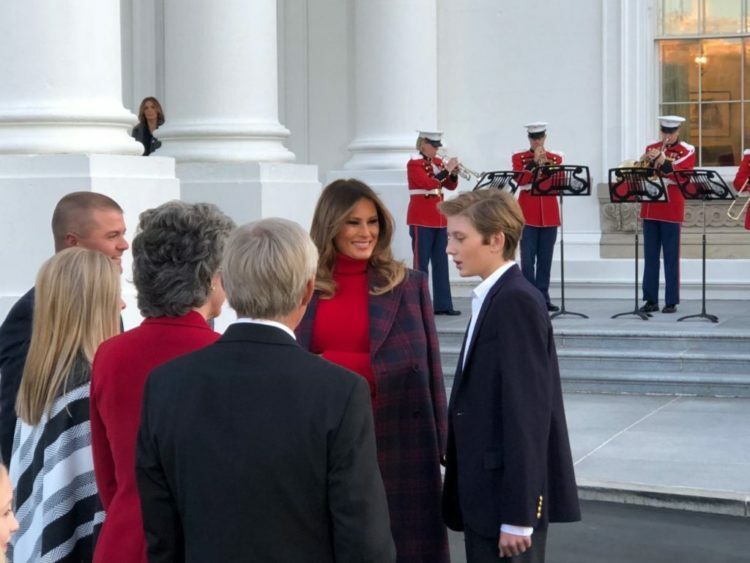 Barron is only eleven years-old. We cannot allow anything to happen to the child for a whole host of reasons here. ISIS is now taking a personal tack on this one, hoping to not only score points, but demoralize the First Family and the nation. They can get stuffed and I can’t imagine they will ever get anywhere near Barron Trump.